WASHINGTON DC – Uited States Senator Elizabeth Warren (D-Mass.) on January 15, 2019, sent letters to the CEOs of Bank of America, Citigroup, JP Morgan Chase, US Bancorp, and Wells Fargo seeking information asking how the nation’s largest retail banks are helping workers and businesses facing financial hardship due to President Trump’s government shutdown. The letters follow a request made last week by federal regulators encouraging financial institutions to work with customers affected by the ongoing federal government shutdown. Credit unions and small banks have announced plans to provide financial assistance to federal employees in the form of payroll advances, low-interest loans, allowing delayed payments on loans, and providing access to additional financial counseling services. The five large banks have also made similar promises. “I’m glad that you are taking some steps to help your customers but these announcements do not provide full details about the services that are actually available to affected workers and businesses,” the senator continued. 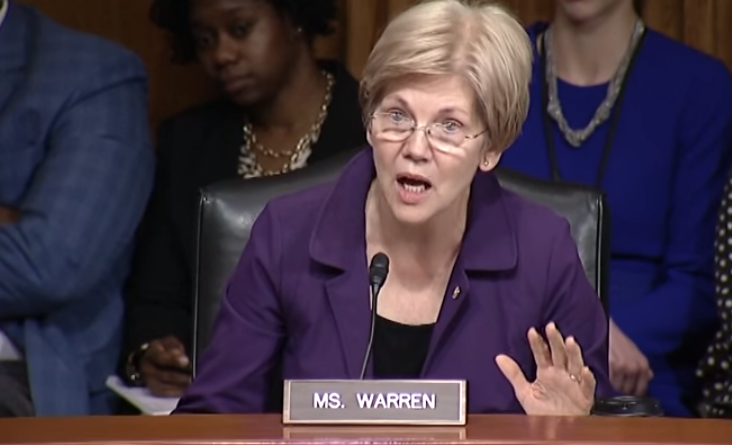 Sen. Warren asked that the CEOs of these banks respond by to her inquiry by January 21, 2019.